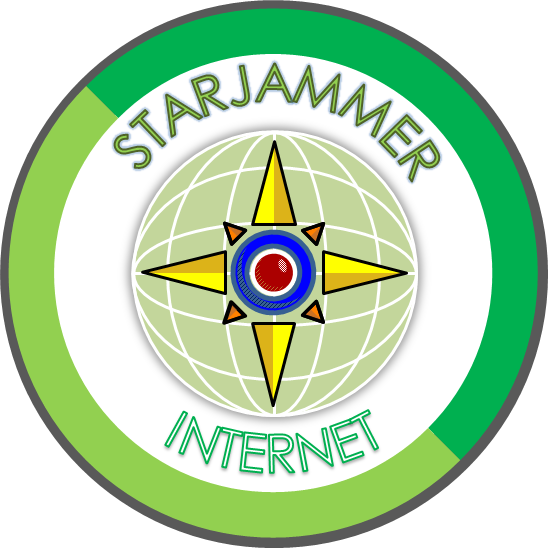 It all started back in 2006, when Starjammer Internet was set up as part of the newly formed Starjammer Group of companies. With over ten years under our belt, our commitment to our clients, and ensuring that we provide them with the best level of service and help that they have come to know and respect us for. As part of the Starjammer Group, Starjammer Internet is proud of its track record to date, and strives to improve its products, services and standing on all fronts. Internet services and consultancy services. Why ? Simple: we love doing what we do, enjoy our work, and work on the principle that our customers, clients and associates should share in the fun. Business shouldn’t be a chore: we spend on average 8 hours per working day in the office, or factory, behind a desk, stall or wheel. When we see our customers, we are proud to say that they enjoy working with us. If you want to know more, check out the main Starjammer Group site, or read and subscribe to the Starjammer Bulletin for updates. We look forward to helping you solve your problems and realising your goals. For all enquiries regarding the Starjammer Group and/or its subsidiaries, please contact our media office via e-mail in the first instance. Please feel free to read our Press Releases or request a Press Pack.